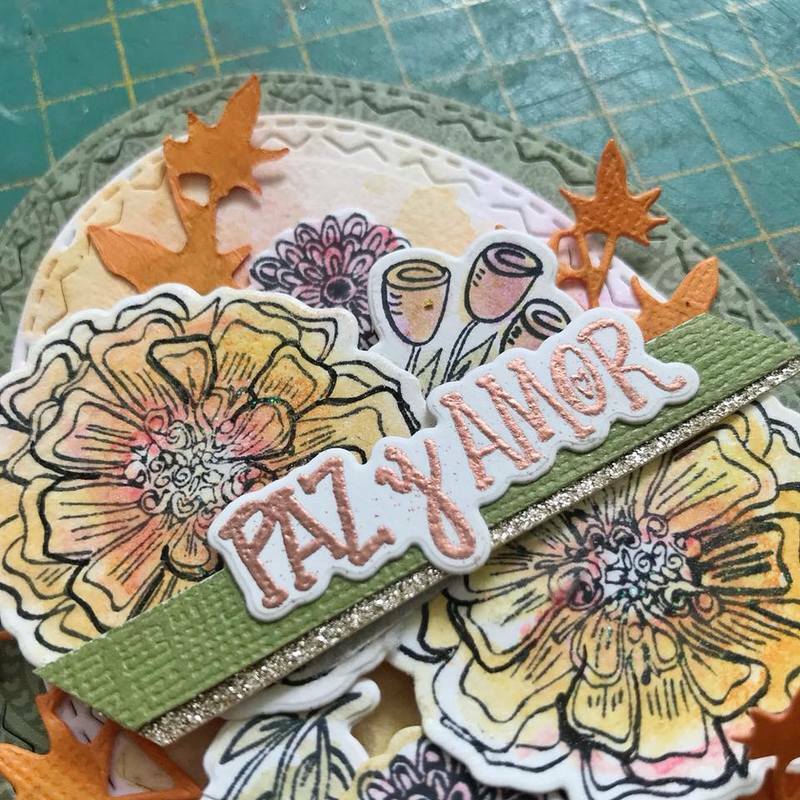 DIY Peace & Love (Paz y Amor) Card! Hello everyone and welcome back! 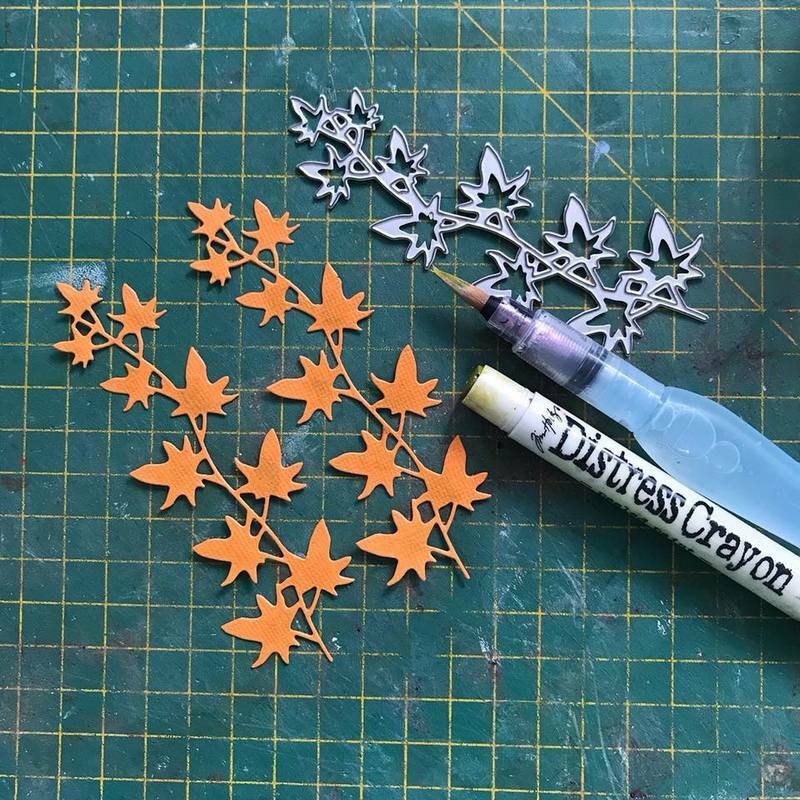 I am Aida from Life and Paper Crafting, and today I’m going to show you how to make a fun Fall-themed card. Being in tropical Signapore, Fall is a season that’s difficult to understand. 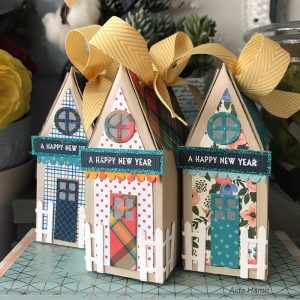 Having many crafting friends in the US and seeing their excitement over the season with its many festivities has made me want to craft along with them. Who can resist the beautiful Autumn colors? 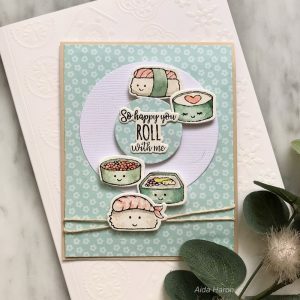 The main feature for this card is the stamps and dies designed by Crafty Chica! Her Mexi-Boho style features strong and interesting Latin elements that makes My Happy Life the series to get! 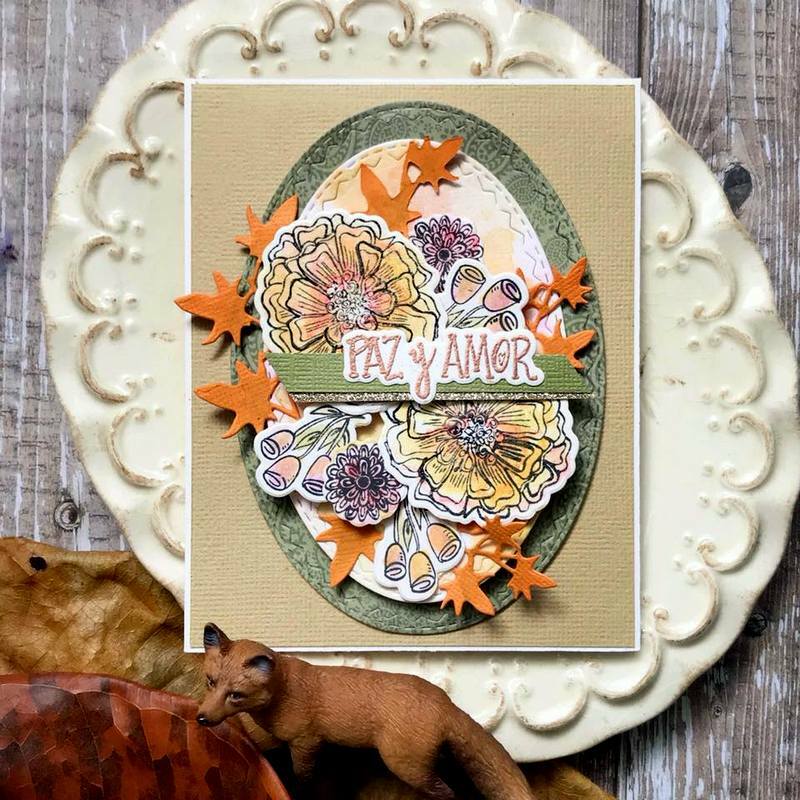 For this card, I’ve used flowers and sentiments in the Paz & Amor (Peace & Love) Set. 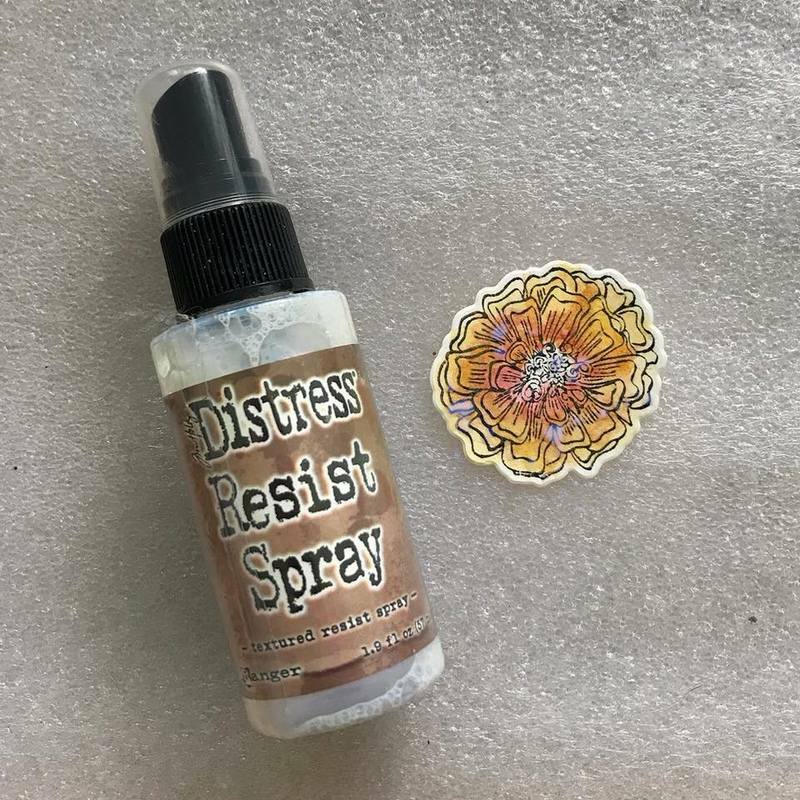 Make sure the flowers are dry before adding a spritz of Resist Spray. I love how the spray dries to a semi-gloss, bumpy finish! It adds texture to flat paper surfaces. When completely dry, dab a teeny bit of glitter glue to the center of the flower. Creating a soft watercolor background with Distress Crayons is so much fun! 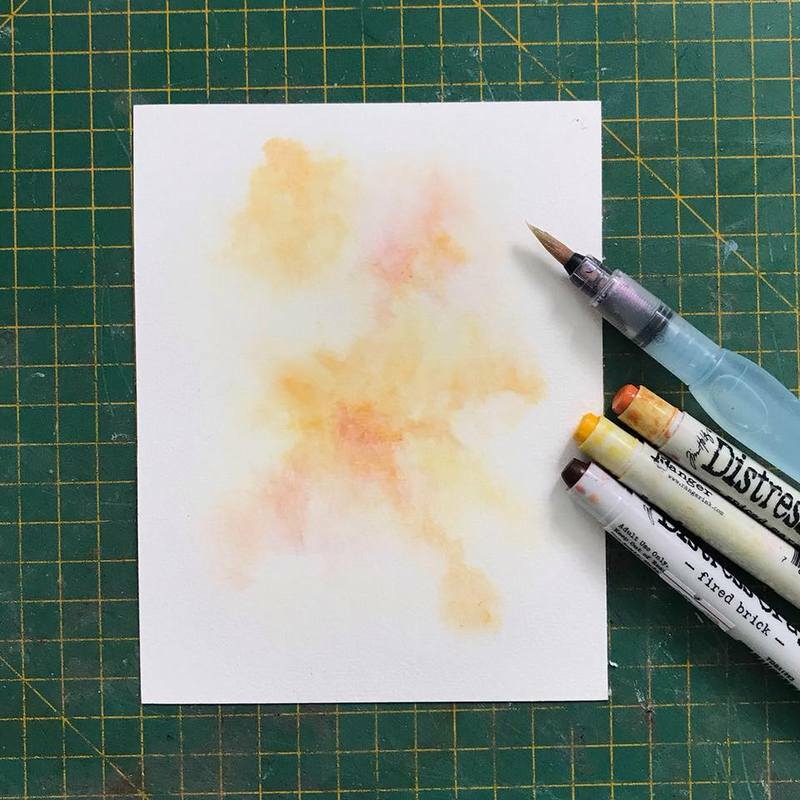 Spray water onto a small piece of watercolor paper, pick up the color from the crayon’s tip with a water brush, and gently paint the paper. Look at how the colors move and blend on the paper. 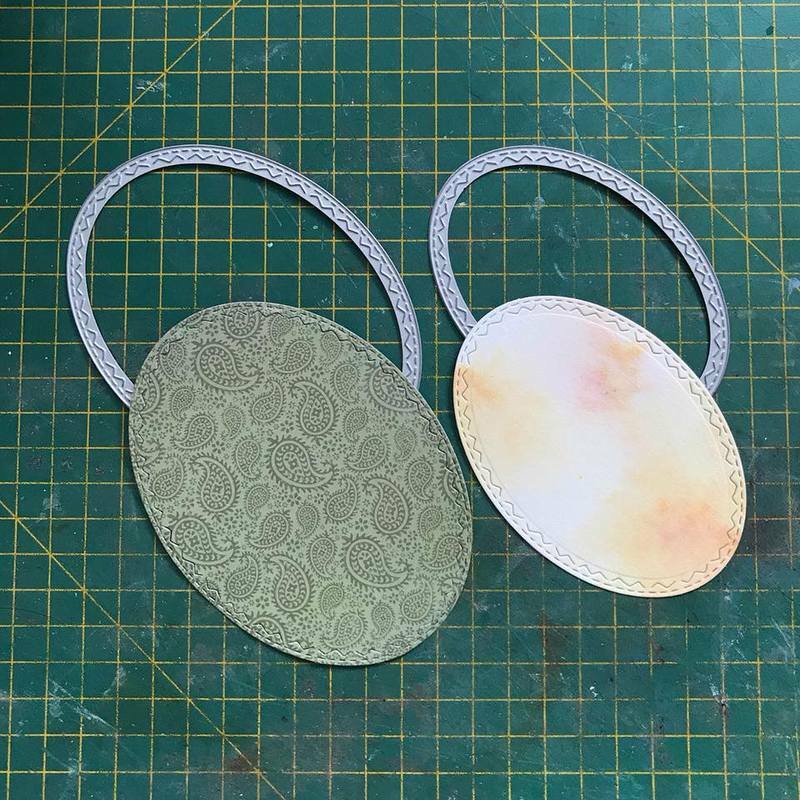 Die-cut two ovals using the Stitched Oval Thinlits Set—one in a green patterned paper and the smaller in watercolor paper. You will need two sprigs of Ivy from the Garden Greens Thinlits Set. Add dabs of green with crayon. Heat emboss the sentiment Paz y Amor (Peace and Love) with embossing powder. 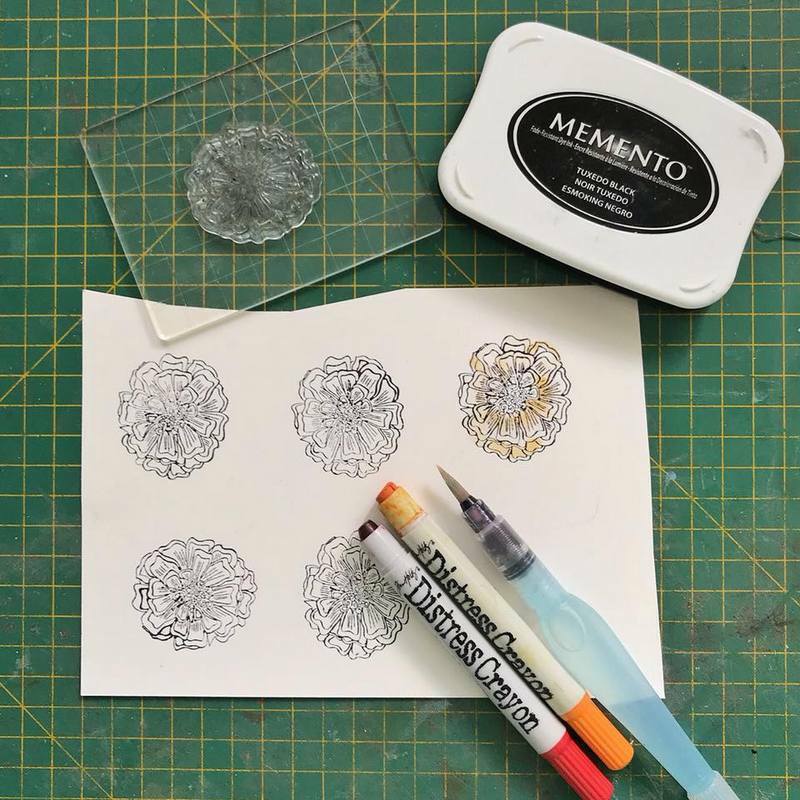 Once cool to the touch, die-cut with matching Framelits die. 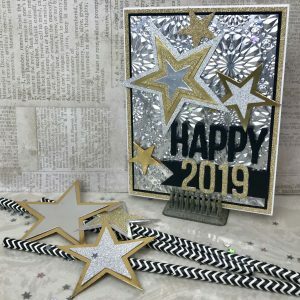 Embellish with strips of green cardstock and gold glitter paper. 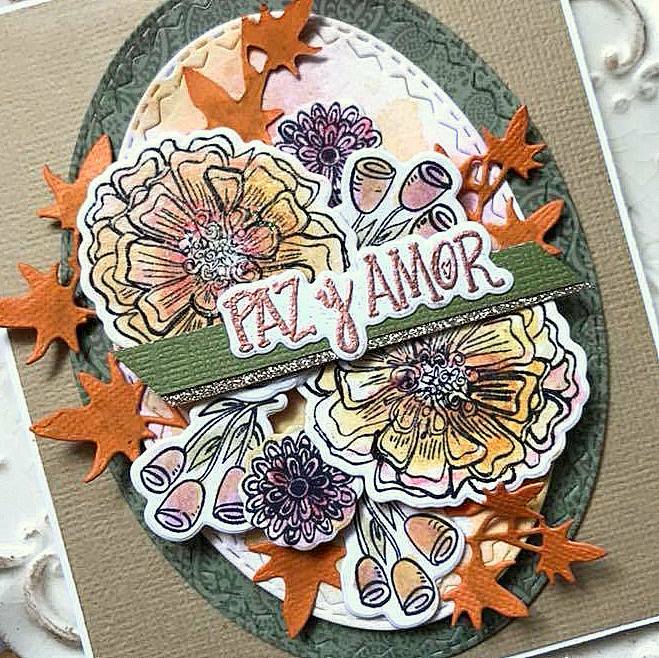 Assemble the central piece by layering the different flowers, adding your sprigs of Ivy and the Paz y Amor embossed phrase. 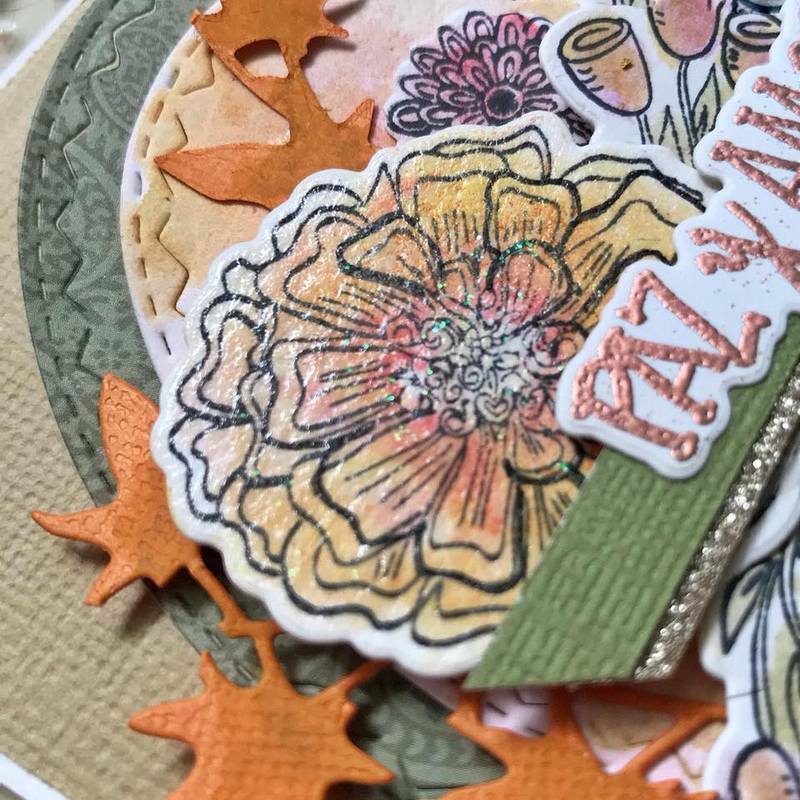 When you are satisfied with the arrangement, glue the piece to a matching card base. How do you like this card? 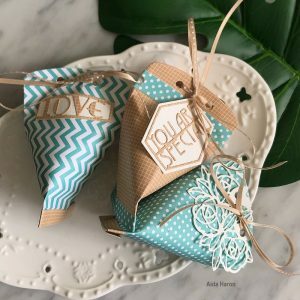 I hope you will craft along with me using Sizzix dies and stamps by Crafty Chica. 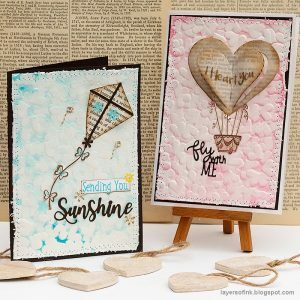 Tag me on Instagram so I can see what you make and remember to use the hashtag #sizzix and #cardmaker too! 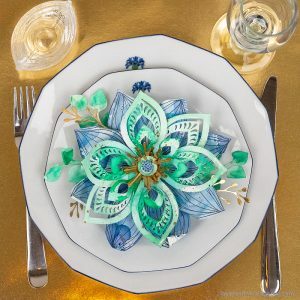 Aida, Life and Paper Crafting.